Dr. Holmes is originally from New Orleans. 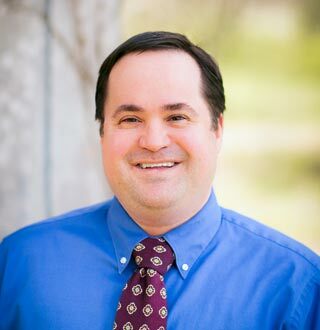 He attended Louisiana Tech University for his undergraduate degree, and then obtained his Master of Science degree in Physiology from Louisiana State University Health Science Center in New Orleans. He received his medical degree from LSU Medical School in New Orleans and completed his pediatric residency at Dell Children’s Medical Center in Austin, Texas. During his residency he was awarded the Outstanding Resident Teaching Award for dedication to Medical Student Education. After his residency, he was elected to be Chief Resident at Dell Children’s Hospital, where he was responsible for teaching and managing pediatric residents. Dr. Holmes has been in private practice since 2010. While in private practice, he was awarded the Texas A&M Medical Student Outstanding Teacher award in 2014. This award is given for the favorite teacher of outpatient education in pediatrics for medical students. His wife Valerie is a neonatal intensive care nurse. They have three children, Matthew, Allison, and Sam. When not practicing medicine, Dr. Holmes is active in Freemasonry, and enjoys teaching, rock concerts, movies, and above all spending time with his family. Dr. Holmes is certified by the American Board of Pediatrics.